For two years NATULIQUE’s clinically proven Hair Growth System has successfully been fighting thin hair, receding hairlines and hair loss in natural salons all over the world. To meet the increasing demand for this popular product line, NATULIQUE has now decided to relaunch the system in a 500ml edition with a new name: The Anti-Hair Loss Family. 30 Million men and women in the US alone suffer from hair loss. Apart from the visual impairment , hair loss can also have a negative impact on the psychological well-being and confidence of those affected. When NATULIQUE Co-founder Mette Lykkegaard started losing hair due to her breast cancer treatment she was terrified. “I realized what an important role hair plays for our personality and identity”, Mette remembers.“With the new 500ml-sized Anti Hair Loss Shampoo and Conditioner bottles we created a more practical product for professional in-salon treatment of hair loss and they also allow us to reduce our packaging waste”, she says. How does the Anti-Hair Loss system work? The Anti-Hair Loss family is a threefold, clinically tested system, formulated with patented Scandinavian BioScience and certified organic ingredients. The combination of the Anti-Hair Loss Ultra Stimulation Serum, Shampoo and Conditioner has shown amazing results within 12-16 weeks. Raymond Beasley of Raymond for Hair has been using the system with a client for seven weeks: “I gave it to one of my older female clients who suffers from hair loss, which is common with a lot of older clients. The results are amazing. You can not only see the difference but the hair feels stronger and thicker too. She is very delighted with the result as am I”, he says. A major cause of hair loss is attributed to DHT (Dihydrotestosterone), a chemical derivative of testosterone. DHT undermines the absorption of essential nutrients. The NATULIQUE Anti-Hair Loss System facilitates the effective communication of cells, holding them together to prevent the effects of DHT. Furthermore, it increases blood flow to the scalp, allowing the skin and follicles to be well nourished for increased hair growth and stronger, healthier hair and scalp. The NATULIQUE Anti-Hair Loss system starts out best as an in-salon treatment after which the client can easily continue the care regime as a complimentary at-home routine. 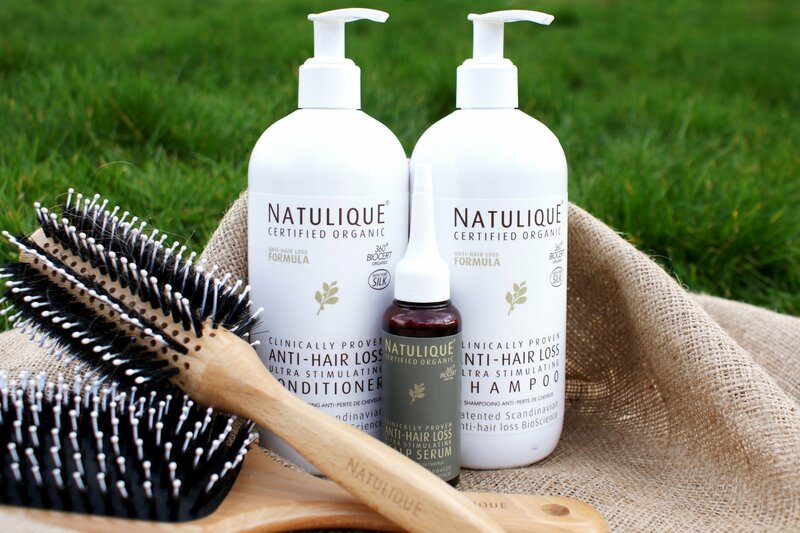 At NATULIQUE we work from a simple vision that demands the safest and cleanest possible ingredients to ensure the safest products within the professional hair care industry, with less chemicals and better functionality. We are rooted in Denmark, Scandinavia, the world’s most forward-thinking country within environmental preservation and organic movement.